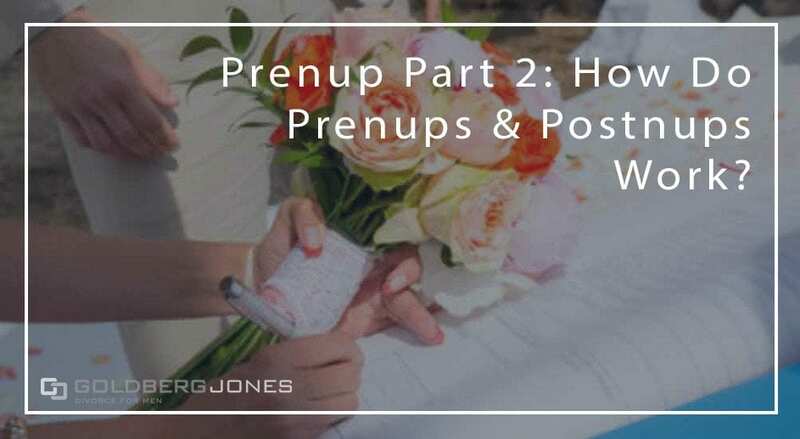 Prenup Part 2: How do Prenups & Postnups Work? Most people think of prenuptial agreements as something only the super wealthy need to worry about. That’s not necessarily true. They often have benefits for the rest of us as well. That said, prenups do often come into play when the rich and famous marry. Case in point: Justin Bieber recently married Hailey Baldwin. If that last name sounds familiar, it’s because she’s Alec Baldwin’s niece. The pop star has a worth of around $225 million. On the other hand, the member of the Baldwin clan can rest her head on a $3 million net worth. That’s nothing to sneeze at, but it’s not quite $225 million. Our founding partner, Rick Jones, regularly appears on the Danny Bonaduce and Sarah Morning Show (speaking of former child stars), where he answers listener questions about family law. One recent caller asked about prenups. You can check that conversation HERE if you like. But that wasn’t the end of the prenup talk. After Rick addressed the caller’s concerns, Sarah turned the conversation to Bieber and his situation. See, he didn’t actually sign a prenuptial agreement, but Sarah wonders about the possibility of a postnup? Rick: “Sure, you don’t actually file a prenup, or a postnup in this particular case. It’s a contract the two of you create, so the only time it sees the light of day in the courtroom is if there’s a dispute later, where somebody says, ‘I don’t want to be bound by that contract.’ And then it’s introduced as ‘evidence’ of a formal agreement. Now, postnups and prenups can be attacked on principle. They can’t be considered ‘patently unfair,’ there needs to be the ability for both sides to have had meaningful access to counsel and all sorts of requirements that have come up over time in enforcing these postnups. If you have questions about your case or need to speak to a divorce lawyer, contact Goldberg Jones at our San Diego office.